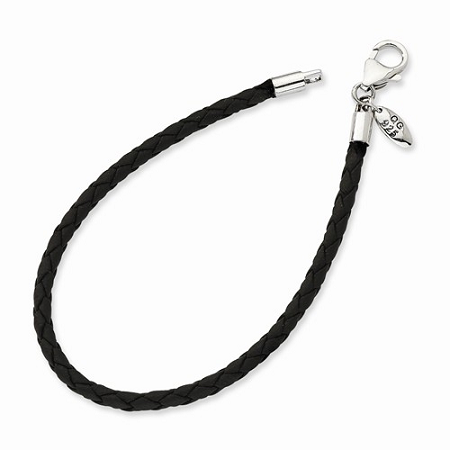 Sterling Silver Reflections Black Leather Bead Bracelet: Chain in length 7 in and width 3 mm, Sterling Silver is well designed. Black leather makes it more attractive. It has sophisticated finish.